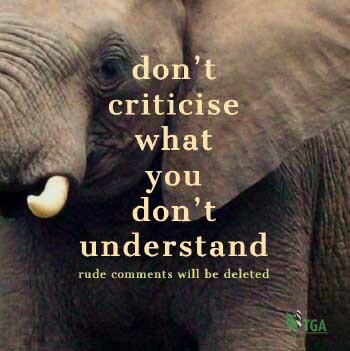 The TGA’s exposure of the facts surrounding “Cecil’s the Lion’s” demise – drawn from a published scientific report by the Oxford University (UK) team that is responsible for lion research in Zimbabwe’s Hwange National Park; from published statements by the responsible Zimbabwe government minister; and from my own common sense interpretation of the facts and the furore – created by the anti-hunting animal rights brigade – resulted in a flurry of activity on the TGA’s Facebook pages. The raw facts are these: Cecil – at age 13 – a few months before his death, had been deposed from his territory and forcibly divorced from his erstwhile family pride. As is normal in these common situations, Cecil was pushed from pillar to post inside the national park – by younger and stronger male lions – and to escape this very real life-threatening harassment, he took refuge on adjacent private land just outside the national park’s open boundary. And there – where there were no dominant male lions to challenge him – for three months prior to him being killed by a hunter, he took up permanent residence. He was then, therefore, NOT a territorial pride-male any more. Nor was he an important component of the lion population inside Hwange National Park. He was, in fact, just the opposite. He had served his purpose over the years and had been discarded by the resident lions because he was, then, surplus to Hwange’s lion population. Many anti-hunting die-hard detractors, claim that “all this may be so” – but Cecil “deserved to live out his life in peace and quiet”. They stated that, having served his species well, he did not deserve the ignoble fate of being killed – in retirement – by a blood-thirsty human hunter. During the “Cecil the Lion” furore I was at pains to explain that a lion’s life is not all a bed of roses. Young lions, at less than two years old – with no experience of living outside the pride, and with practically no experience at killing their own prey – have a hard time surviving when they are ignominiously kicked out of their prides. Many die at this stage because they cannot adjust to their drastically changed circumstances. And the big males, when they are deposed, have an even harder time. Under the circumstances, Cecil was lucky to have held onto his position until age thirteen. I am told that, in Kruger National Park, few male lions ever reach the age of ten. When dominant pride males are deposed their life expectancy thereafter is very short. Starvation becomes a major cause of death. Being killed by other lions is another good probability. Being physically injured in fights – and being incapacitated in the process – is another possibility. But being ultimately torn to pieces and eaten alive by a pack of hyenas is the worst and most horrible case scenario. Furthermore, when their physical condition declines due to basic malnutrition, once-tolerable diseases that the lions may have carried without a problem all their lives – erupt virulently – and hasten the lion’s death. The lion in the attached photograph (kindly supplied by Dr. Kevin Robertson) was a once dominant male in Kruger National Park. He soldiered on for some time on his own – after being deposed – but without his pride to support him he was unable to make the grade. And once he started that downward spiral there was no turning back. It was then only a matter of time before he succumbed. Just look at this lion’s condition and try to imagine what it went through as it became more and more emaciated. Nobody should wish THAT on ANY lion. And, when it was shot (to put it out of its misery) its stomach was found to be full of nothing else but chewed-up porcupine quills. People who are detached from nature – actually – don’t want to know anything about all these realities. They suffer from the illusion that when they get old, lions can and should be allowed to live out the rest of their lives in peace and tranquillity. THAT ain’t gonna happen! Cecil was old – very old by lion standards – and he was lucky to be hunted and killed when he was still in reasonable shape. Surely the hunter’s bullet is a better option than “nature’s way of doing things”! Thank you for sharing the story of the continued colonization of our beautiful continent Africa. The looting of African mineral resources has now shifted to undermining the sovereignty of the African wildlife in all respect. Who of those supper powers have better knowledge than Dr Leatham, indeed he remains a king with no kingdom at all, for how long are we going to be subjected to this kind of bulling that seem to go unabated, how does any one expect to have sustainable conservation without enabling the hunting industry to focus on what they are best at. Thank you once again for bringing this to the attention of the world through social media. For how long will Africa continue to remain silent . Africa , speak out for your own survival . Africa you are on your own, stand up and be counted . This is one of the best explanations of the fate that an old lion has to face. Blondie Leatham – an old colleague from Rhodesian National Parks days – is the General Manager of the Zimbabwe Bubye Valley Conservancy – renowned as being the best example of sustainable-wildlife-use management in Africa. When America and Europe recently refused to allow the importation of lion hunting trophies into their countries (ostensibly to “save” Africa’s wild lions) Blondie promptly asked America and Europe – AND the Born Free Foundation – if they would like to take 200 live wild lions off his hands because, if he was not going to be allowed to hunt them, he was going to have to cull them. 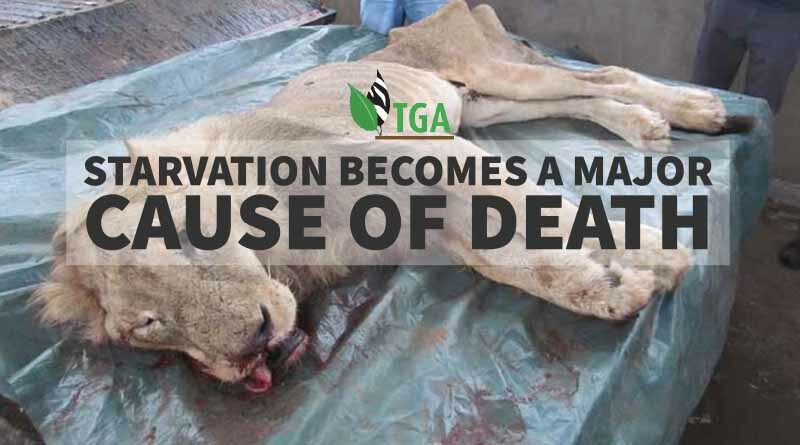 They are the Lions that very often become problem animals, when they find easy prey such as cattle and human beings Nothing like a half eaten rural farmers corpse to remind one of what happens to old Lions.. It is refreshing to see that the TGA’s Facebook viewers are starting to “see the light”. The truth is, indeed, more fascinating than fiction. It is a pity that the animal rightist NGOs don’t see it that way. They purposefully construct the lies – about wildlife management practices – that appear in their propaganda for the express purpose of stirring up public emotions – and THEN they use that emotion to solicit funds from the general public to stop those “illusionary” practices happening. I am actually amazed at how many people in society are prepared to be duped by these fraudsters – even when the falsehoods of their propaganda is exposed. Animal rightsism is a racket – the biggest confidence industry the world has ever known. In my mind I call them eco-racketeers (or Eco-Racks for short) – and I pity them. Let us hope that beneath the blanket of anonymity we are actually getting through to more and more people. I think we are! i think you’re missing the point here. The guy wanted to kill a lion for no good reason other than to satisfy his blood lust. He would have shot any lion that was presented to him. I think there are better ways to euthanaze a lion. I’m not anti hunting by the way…I love venison. There are just as many people who enjoy hunting as there are people who abhor it. And everyone is entitled to his opinion. Whether you like hunting or not, however, does not get any of us away from the fact that wild animals are “WILD products of the land” – just as cattle sheep and goats are “TAME products of the land” – and they should ALL be used wisely and sustainably for the benefit of mankind. When harvesting TAME products of the land the animals are taken to the abattoir and hundreds/thousands are slaughtered by ONE man every month of every year, so that the rest of us can eat meat. Nobody denigrates that one man for doing the terrible slaughtering job for the whole of humanity. Wild animals are not subjected to the trauma of being transported in a lorry or railway truck to the abattoir – where they are lined up for slaughter, one by one. Game are shot – one by one – by hunters whilst they are still running free and wild in the bush, so their trauma is far less. And many people believe this is a quicker, better and more noble fate that being killed in an abattoir. The value of TAME products of the land – to the farmer – is confined to the value of their meat and hides. The value of WILD products of the land, on the other hand, is augmented by the added value hunters pays to the land owner for the privilege of hunting his wild game animals. The added hunting-value is the reason why game ranching provides the land owner with three times as much income as he can get from farming with domestic animals – and THAT is the reason why more and more land owners are turning away from ranching TAME products of the land and moving toward game ranching. Because of this, today, there is three times as much land owned by game ranchers in South Africa as there is land contained within the national parks estate – and game ranching is getting bigger and bigger every year. There are 16 million wild animals living on the game ranches compared to just 6 million in the national parks. So hunting – and a few thousand hunters – provide South Africa’s wildlife with infinitely better prospects for survival into posterity than do all the millions of non-consumptive tourists who visit South Africa every year. I am not one of those who say that hunting is BETTER than game viewing – because I believe BOTH consumptive tourism and non-consumptive tourism have their place in the bigger conservation picture. I also believe that the one should be tolerant of the other.